You probably did not see that coming, did you?! For the first time in the four year history of Tim’s Corner Motorsports, the annual Power Performer of the Year Award is going to a driver who does not pilot a Late Model full time. In fact, Kennetcook, Nova Scotia’s Dave Matthews has never sat himself in a Late Model for a race. He has had a stint in a Legend car, but Matthews has made his racing career out of racing a Honda Civic. That Civic has won Matthews lots of racing and has established himself as one of the best four cylinder drivers in the region. Matthews began racing at his home track of Scotia Speedworld in 2003 and would run part-time for the next number of seasons. Matthews began making a name for himself, finishing fifth in the series standings in 2008 and runner-up in 2009. Matthews would win the championship in the division twice, once in 2011 and again in 2014. The 2011 season would also include a victory in the Atlantic Championships for Mini Stocks at Shediac’s CENTRE For Speed. Entering 2015, Matthews was a driver with nothing that needed proving to those at Scotia Speedworld. Matthews had two championships and two runner-up finishes in six seasons, had won multiple Thunder on the Hill 50 races and was a threat to win each week. You can liken it to Jimmie Johnson in the NASCAR Sprint Cup Series when the #48 was on his title run. If Dave Matthews wasn’t leading a race, you best believe he was close to the front of the field when it counted. Like most that run for a point championship, Matthews first focus was a third championship in The Chickenburger Thunder class. Matthews came out of the box strong, not finishing outside of the top five in the first seven feature races – or for the months of June and July if you’re keeping score. That streak included an impressive four feature wins (including the Thunder 50 in July) in six races, or a 66% winning percentage in that time. While Matthews encountered some motor issues at the beginning of August, he continued to plug along at Scotia Speedworld. Matthews recorded three more top five finishes on the season but would eventually be edged out for the championship by two points over brothers Matthew and Andrew Warren. Matthews four feature wins at Scotia Speedworld led the Thunder division, but Matthews was far from over on the season. Matthews became “Mr. October” in Maritime racing circles, winning two major feature races to close off the year and coming close to a third to kick off the stretch. 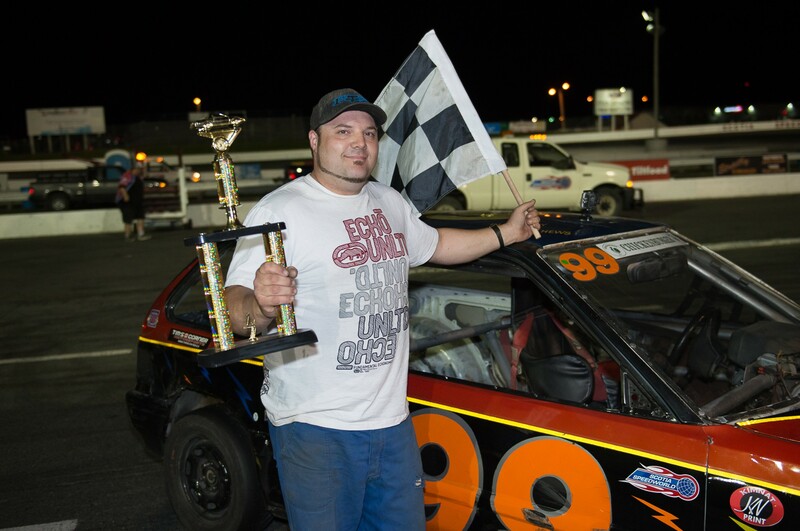 Matthews led the most laps in the Atlantic Championships for Mini Stocks at Shediac’s CENTRE for Speed, but a controversial restart with 11 laps to go cost Matthews a shot at the win and the 99 car would have to settle for second. 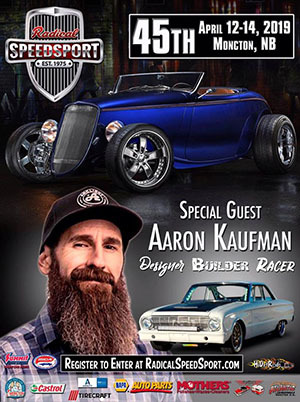 Matthews would quickly put that behind him, roaring to a victory the next week in Petty International Raceway’s 50-lap feature for the Mister Transmission Mini Stock division. He would follow that up with wins in both ends of the Ramsay’s Honda Twin 50s at Cape Breton Miners Memorial Speedway in only his second start at the track. With lap money on the line and an increased purse, Matthews would go down as winning one of the richest Mini Stock races held in the Maritimes in some time. The bottom line? Matthews ran in 16 feature races in 2015, winning six at three different tracks, finishing on the podium in nine of those and only finishing outside the top five three times. His worst finish away from his home track in four races was third in his first start at Cape Breton Miners Memorial Speedway in August, when he subbed in for eventual track champion JR Lawson. Those are impressive statistics regardless what division you are in, with the competition Matthews faced home and away, it makes it even that much sweeter. While Matthews has a loyal cheering section every Friday night at Scotia Speedworld that sit on the Turn One side of the front straight, one of his biggest fans is his daughter Bristol. While Dave was busy on track in 2015, he was busy in the shop gearing up his back up car for the track. While the car never made competitive laps, it was painted up to resemble the Mystery Machine from Bristol’s favorite cartoon Scooby Doo for the Kiddie Rides event at Scotia Speedworld. Dave Matthews was selected from a stout list of finalists for the TCM Power Performer of the Year Award, including Maine’s Cassius Clark, New Brunswick’s Laurie Cormier, Rob Raynes and Ashton Tucker, Prince Edward Island’s Matt Watson and Harley Cornish and Nova Scotia’s Russell Smith Jr., Dylan Blenkhorn and Jarrett Butcher. Combined, the ten finalists for the TCM Power Performer of the Year Award had 48 feature wins and eight point championships in 2015. Matthews is the first driver from Nova Scotia to receive the award and first non-Late Model driver to win the banner. Matthews joins Dave O’Blenis (2012, Boundary Creek, NB), Shawn Tucker (2013, Fredericton, NB) and Jonathan Hicken (2014, Brudenell, PE) as winners of the TCM Power Performer of the Year Award. Matthews will receive his first TCM Best of Maritime Awards banner in the new year for his TCM Power Performer of the Year Award victory. Special thanks to JDR Graphics for the banner artwork and McCarthy Photographic for the pictures used on the winner banner. Tim’s Corner began as a weekly stock car racing column appearing on ScotiaSpeedworld.ca and MaritimeProStockTour.com, penned by track and series announcer Tim Terry. It has now grown to include basic media services for motorsport teams big and small. TimsCorner.ca, the official website of Tim’s Corner Motorsports, also features Tim’s Corner Unplugged, a podcast hosted by Terry which focuses on the motorsports scene. For more information on Tim’s Corner and services offered, visit TimsCorner.ca!